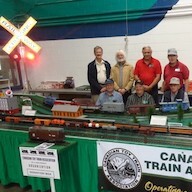 Most CTTA members collect ‘O’ gauge, ‘Standard’ gauge, and ‘S’ gauge trains. In the early years of the model railroading hobby, these larger sized trains were deliberately made durable and tough to ensure play value and long life. As a result, most were not true scale models, with compromised proportions to allow big trains to run on small sized layouts. Because of these compromises, they were considered more like ‘toy trains’ than the more scale-like ‘HO’ scale models, which were more popular due to their smaller size and greater attention to detail. 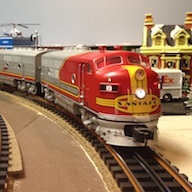 Today’s toy trains – from manufactures such as Lionel, Mike’s Train House, Atlas O and Williams by Bachmann – can now feature exquisite detail, many operating features, remote control and full sound systems made with recordings from real locomotives and railroad operations. Collectors and operators now enjoy ‘toy trains’ that are almost 100% accurate to scale, other than the oversized wheel flanges and couplers needed for smooth hobby operation. Our members run and collect everything – from the earliest lithographed tinplate of Marx & Hornby from the early 1900’s, through the ‘Golden Years’ of Lionel, K-Line, Marx, A.C. Gilbert & American Flyer trains of the 40’s, 50’s and 60’s, to the most recently released modern electronic marvels and scale models from Lionel, M.T.H., Atlas O, Weaver and others. What exactly is ‘scale’ ? SCALE is the size relationship of a model to the real world. 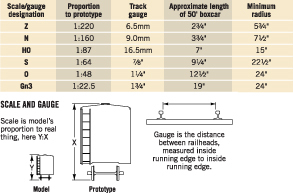 For O gauge trains, one-quarter inch equals 1 foot. What exactly is ‘gauge’ ? Gauge is the distance between the running rails of train track. Scales listed below are based on a real-life gauge of 4 foot 8 inches. 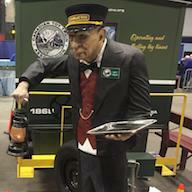 Hobbyists and the model train industry frequently mix the terms ‘scale’ and ‘gauge’ together. 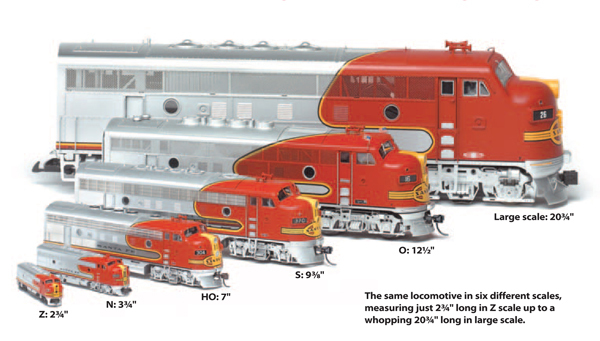 Our club ‘lingo’ generally means ‘O’ gauge to be inclusive of smaller O-27 Lionel to true 1:48 scale, which most American based manufacturers use today. 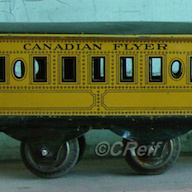 O-27 refers to ‘O’ gauge trains that were designed to run on the smallest possible circle of 3-rail track, 27 inches in diameter. True ‘O’ scale is 1:43.5. This is most often used for ‘premium’ O Scale locomotives and engines in 3-rail ‘O’ gauge, and is always used for 2 rail scale equipment. British ‘O’ gauge manufacturers usually use the correct ratio, 1:43 scale. Standard gauge is rails 2 1⁄8 in apart, with trains in proportion from 1:22.5 to 1:29 to 1:32 scale. ‘S’ gauge is 1:64 scale. The most common scale being ‘HO’ (Half-O), which is 1:87.